-3 Hooks: Made with three hooks. This design helps increase catch ratio when fish are in a reactive mood and not willing to aggressively feed. Most commonly an asset in colder water early and late in the year and in post frontal situations. 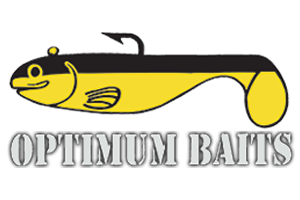 -High Pitch (small bb’s): Most Commonly resembling to baitfish in the Herring family (flat sided, as opposed to a round sided smelt), which includes Gizzard and Threadfin Shad, to imitate sound in colder water conditions and in post frontal situations. -Triangular Internal Chamber system: This unique system maximizes sound by ricocheting bb’s at constant angles. With this design it allows for a controlled sound among all jerkbaits that come out of production, allows the jerkbait to be consistent in sound, and keeps the bb’s from getting stuck in crevices. This design emits a controlled sound and maximizes consistency, maximizing it’s realistic and unique sound. -6 to 8ft dive depth: Most common depth, within visible sight, of suspending baitfish and predatory fish aimed to catch in colder months and post frontal situations. -Flat sided, wider back: A common shape of baitfish resembling in the Herring family. If taken a cross section of, both will appear triangular in shape, as oppose to oval in shape, more resembling of a smelt or minnow, which is less commonly fed on by Bass. -Forward pointed, skinnier bill: This lure has its action built into it’s design. 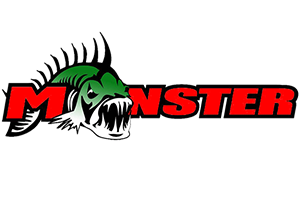 Many competitors make a lure and adjust the bill width and size to give the lure its action. This will only create more resistance wearing the user out much quicker. The bill angle, length and width is designed for strictly the depth, where the body is designed for the action by resembling the shape of Herring, which includes Gizzard and Threadfin Shad, and giving a similar cadence, resulting in a much user friendly, less tiring lure. -Flash: With how the sides of the jerkbait are designed, they reflect light slightly downward, naturally the direction from which a strike will most likely come from, as oppose to outward and in any which direction like most competitors. -Jerk Pause: Starting each jerk with a slack and ending with a slack after single to multiple jerks. Increase frequency between jerks and pauses as fish activity level increases and as water temperature increases. Work the lure with your rod top close to the water to maximize depth, bringing the rod tip up as you would like to work it shallower or through or over shallow cover. -Deadsticking: Working the lure with very little contact with the lure itself and inching the lure forward by bringing up the slack and using the weight of the line to move the lure forward. Start out with a couple cranks and with the Jerk Pause technique to get the lure to depth before working the deadsticking technique. -6’0″ to 7’0″ depending on height: You want the rod as long as possible, but just short enough to where your rod tip is not dragging in the water on the Jerk Pause technique when your rod is pointed downward. -8lb-14lb line: The lighter the line the better, when you can get away with it. This will maximize the natural action of the lure. As there is more cover and debris to wear line easier, increase the weight of the line. -Reel: Most reels can be used, but suggest using a 6.3:1 ratio or greater for easy use.